Become a part of a group of men and women who believe in a vital, progressive public library in our community. 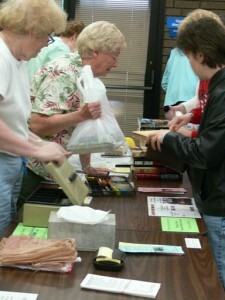 Specialty book sales featuring mysteries, romance, and children’s books are held periodically. Check for occasional cart sales. 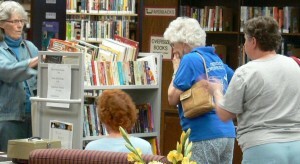 Friends Annual Book Sale: usually last half of April. All booksale proceeds benefit the Library. A semi-annual sale is usually held mid-October. Donating Materials for Book Sales: The Friends of Newton Public Library appreciate donations of materials in good condition. Encyclopedias, Reader’s Digest Condensed Books, and magazines are not accepted. In the case of large donations (e.g. five or more boxes) please contact the Library before bringing donations.